While elective surgery may sound odd for dogs, breeders and veterinarians actually offer it to owners supposedly as part of good grooming. 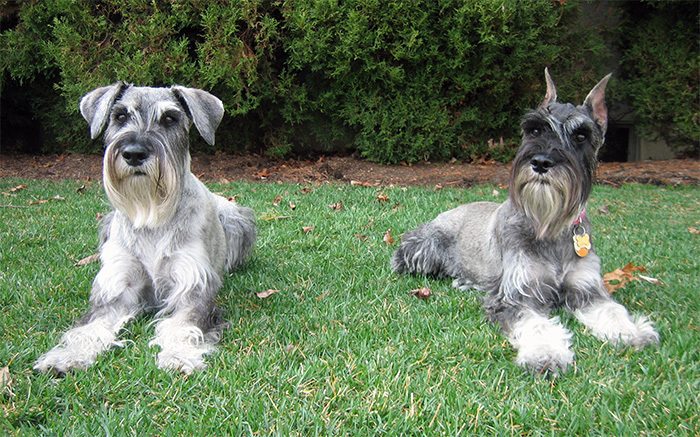 In particular, ear cropping and tail docking are performed on certain breeds, such as Dobermans, schnauzers, and German shorthaired pointers, to preserve their distinctive looks as purebred dogs. But many experts and animal welfare organizations are arguing against the practices because of the inhumane steps involved and the unnecessary risks associated with cropping and docking. Keep in mind that just because these practices have widespread acceptance among majority of breeders and owners does not necessarily mean that it is okay. As a dog owner, you have the responsibility of educating yourself about the costs and benefits of ear cropping and tail docking in your Doberman, schnauzer, or German shorthaired pointer. Before making your go-or-no decision, you have to know what tail docking and ear cropping involve. You will be able to understand the pros and cons for the elective surgery procedure in this manner. Docking involves the removal of part or all of a dog’s tail. This usually involves the use of sterile surgical scissors but not of general or local anesthesia before the actual cutting. This is performed when the dog is just a few days old since the tail is still considered as “soft”, thus, the absence of anesthesia. Bobbing, as the procedure is also called, is banned in several countries including the United Kingdom and Australia. In the United States, it remains unregulated in the sense that it is neither banned nor controlled by authorities. Cropping involves cutting off the floppy part of a puppy’s ears. It is usually performed on a dog between 6 and 12 weeks old with general or local anesthesia. The cropped ears are then taped to a hard surface, which will make them stay upright, during the healing process. Docked tails have higher risks for the development of nerve tumor (neuroma), which can cause moderate pain especially when the tail is touched. A dog with a docked tail may also likely have more difficulty interacting with other dogs – canines communicate their emotions with their fellow canines by wagging their tails. Docked tails can be considered as injuries, too. Researchers have discovered that an intact tail is unlikely to be injured even in vigorous activities, and even when it is injured, it is usually minor in nature and heals easily. Cropped ears have been shown to have little actual benefits in terms of the prevention of infections. Studies have shown that at least 80% of dogs will not develop ear infections while the breeds that are most susceptible to ear infections, such as poodles and cocker spaniels, usually do not have cropped ears. Of course, the fact that cocking tails and cropping ears involved surgery on the animals must also be considered in your decision. Your puppy will have to endure the pain of having its tail cut off without anesthesia and recovering from the surgery. You have to ask yourself whether cutting off any part of your puppy’s body part for the sake of appearances is well worth the risks. Keep in mind, too, that both ear cropping and tail docking are probably not covered by pet insurance since these are considered as elective surgery procedures. You will have to pay for out-of-pocket costs for the procedure itself and the medications necessary. You must consider whether these costs could be better used for necessary pet food and supplies from Petsmart instead. Veterinarians are also asserting that both surgeries are also becoming less acceptable and, thus, less common. Even AKC officials say that that dogs that have not undergone either of the procedures are just as likely to win at competitions as their docked and cropped counterparts. Natural-eared and –tailed dogs are, after all, just as beautiful especially with well-groomed heads and bodies. The bottom line: Docking and cropping are options that you must discuss with your breeder and veterinarian. You may or may not like it on your dog but you have to carefully consider the risks and rewards before going for or avoiding the surgeries.